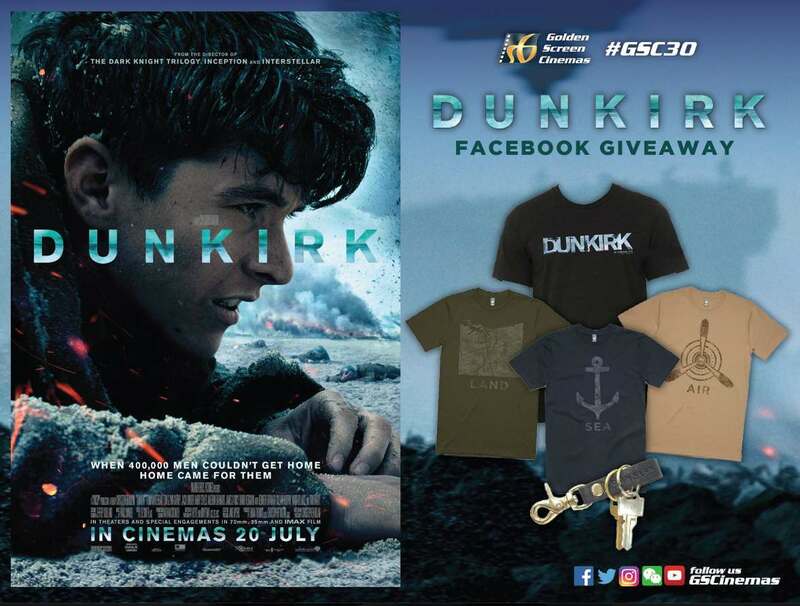 We are giving away amazing premiums from Dunkirk! Contest ends Sunday. Hurry up! Find out more at GSCinemas.